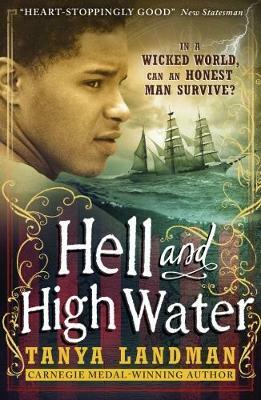 The heart-stopping tale of a young man's attempt to clear his father's name, from the Carnegie Medal-winning author of Buffalo Soldier. From the Carnegie Medal-winning author of Buffalo Soldier Tanya Landman comes this heart-stopping tale of a young man's attempt to clear his father's name. When his father is arrested and transported to the Colonies, Caleb is left alone. After a desperate journey in search of an aunt he's never met he receives a strange, cold welcome. Then a body washes up on the nearby beach and Caleb is caught up in a terrifying net of lies and intrigue. Soon he and his new family are in mortal danger. This powerful story holds the reader in suspense as it charts the growth of a frightened boy into a brave young man. Shortlisted for the Guardian Children's Fiction Prize. Tanya Landman has written numerous books for children and young people, including Buffalo Soldier, winner of the Carnegie Medal, Apache, shortlisted for the Carnegie Medal and the Booktrust Teenage Prize, The Goldsmith's Daughter, longlisted for the Guardian Children's Fiction Prize, the Sam Swann and Poppy Fields mystery series and the beautiful picture book Mary's Penny. Tanya lives in Bideford, Devon, with her husband and their two sons. Visit Tanya at www.tanyalandman.com.